here is a link to Studio Notes, a web log showing ongoing photo documentation of rupert`s studio practice. 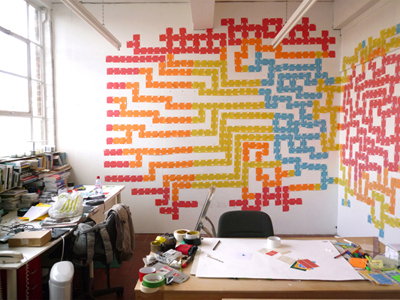 Studio Notes is a continuation of working processes initiated during his residency at the Centre for Drawing Project Space at Wimbledon College of Art (2009). During this time under the supervision of Avis Newman and through participation in PHD and MA programmes at Wimbledon he established new ways of making and showing work. This blog starts from January 2011 and is updated weekly, simply click on and scroll down to view previous entries.